This is a little reminder for my young and new photographer friends. Like all art related production, critics are really important for photographers too. They will (or at least should) help us to improve ourselves as photographers. But we usually miss judged which type of critics important. Photographers will like to take good comments such as, “superb” “fantastic” “cool” etc… Of course it is nice and we all feel good when we saw these kind of comments or when we receive thousand likes from facebook. Also young photographers don’t like and usually say something like “This is my style” when they saw bad comments. If there is no experience and knowledge behind both positive or negative critics, those don’t worth a penny. We as photographers have to respect personal opinions but we shouldn’t let them become the way which we shape our production. So my fellow young and new photographer friends. When someone says you are superb or you are bad please take a few seconds and check if they know what they are talking about. 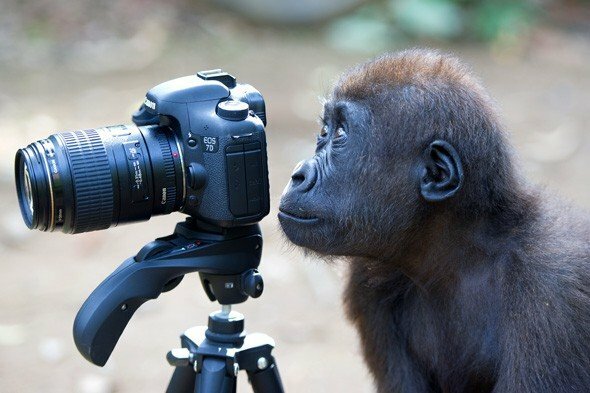 And don’t forget any monkey who can afford a DSLR become a “photographer” these days. PS: The photographs in this post are not belong to me and I have no claim on them. I tried to find the owners but I couldn't. If you know owners please let me know.